We need a new Toronto. A more just and inclusive Toronto. A Toronto that leaves no resident behind. 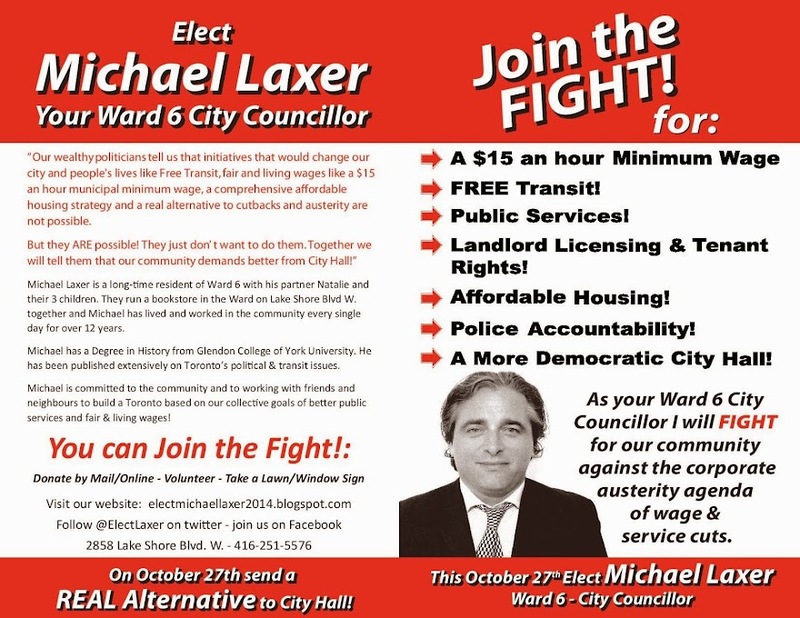 To do this we need the fight for economic justice to be front-and-centre and as a City Councillor I will fight to make higher wages a part of the business standards expected of retailers and businesses who wish to operate in the city, will actively fight for higher wages and benefits for all people and for stopping wage cuts for city workers or workers under contract to the city. Our city does not benefit by pushing the wages of any workers down.